Santa Cruz Megatower | Everything You Need to Know. 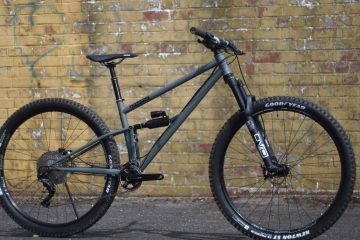 Borne from the Santa Cruz enduro riders’ Hightowers with linkage plates to stretch the travel and angles that birthed the LT, Santa Cruz have launched their Megatower. 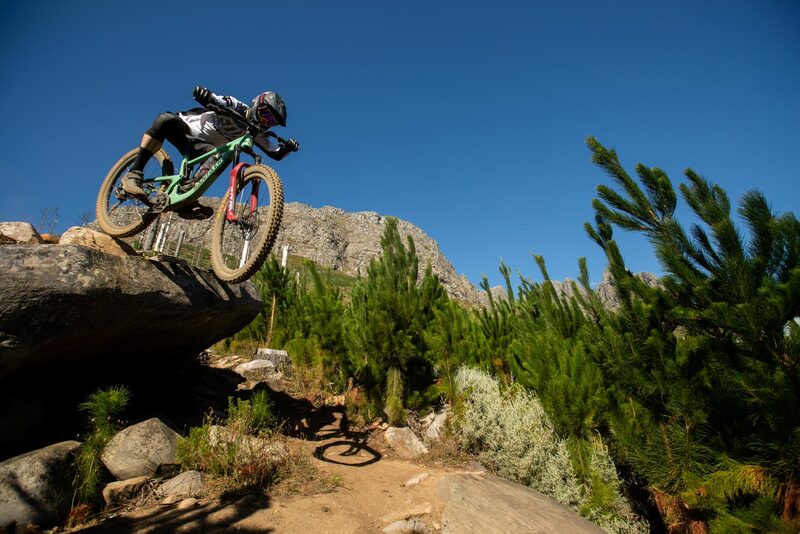 Designed to meet the requirements of the racer looking to squeeze every last ounce out of a trail or those 29er fans that were hoping the Nomad would sport wagon wheels, Santa Cruz has released its long travel 29er, the Megatower. Action shots by Gary Perkin. Santa Cruz today launched their ultimate long travel 29 in the form of the Megatower. A 160mm 29er is no thing new, but Santa Cruz have a history of making very good bicycles that people lust after. The Megatower looks to be no different. On the size medium in the ‘High’ setting you’ll get a roomy 450mm reach, combined with a 65 degree head angle, 76.8 degree seat angle and a wheelbase adjustable from 1207 to 1217mm. Drop that into ‘Lo’ and you lose a few millimetres in reach but gain some in wheelbase, while the head angle drops to 64.7 and the seat tube angle to 76.4 degrees. The changes are more pronounced the high up the size range you go. Sizing options start at small and rise to XXL. 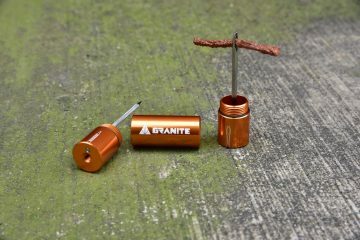 The frame will fit both a water bottle and a piggyback shock. The new Megatower is designed around metric shocks, with a bearing in the eyelet. 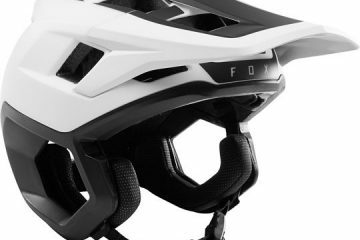 The frame also sports neat touches like a shock fender, shuttle guard, downtube protector, and ribbed chainstay protector. 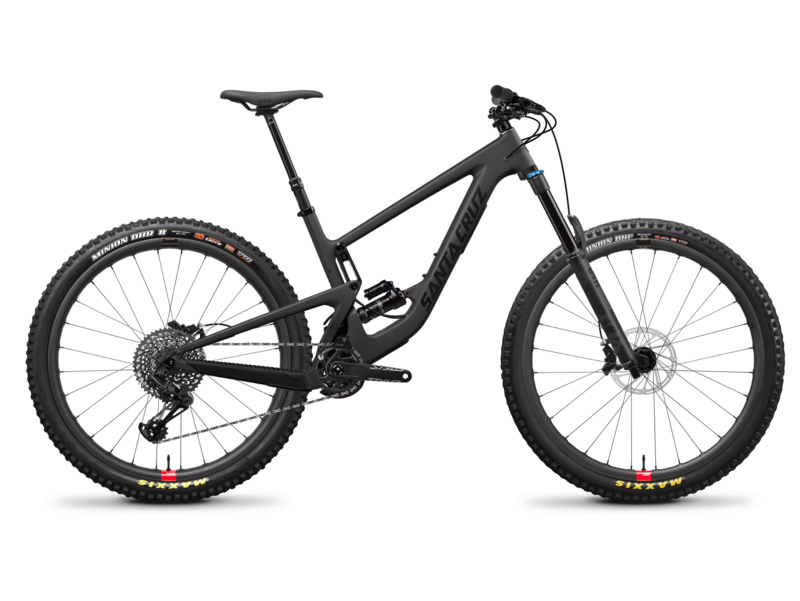 The range includes seven complete bikes starting at £4,499.99 for the C R, rising to an eye-watering £9,399.99 for the CC XX1 AXS Reserve model. Rockshock Super Deluxe coil and air shock options are available from the C S model upwards. A CC frame-only option is available for £3,299.99. Megatower CC XX1 AXS Reserve. Behold the Megatower CC XX1 AXS. As many acronyms as a Japanese road-going rally car and as equally as heavy on your wallet. £9,399.99 and the beast is yours. But what do you get for your house deposit? You get the all-singing, all-dancing CC carbon frame, a Fox Float 36 Factory fork, Rockshox Super Deluxe Ultimate shock, and full SRAM XX1 Eagle AXS everything else including the Reverb. Brakes are SRAM Code RSCs. You will be rolling on i9 hubs laced to Santa Cruz Reserve 30 rims via DT Swiss Competiton spokes. Finishing kit includes a Santa Cruz AM carbon bar and a WTB Silverado saddle. Not sold on electricity for your shifting or can’t quite justify almost ten grand on a bike? Well, how does £8,399.99 grab you? Save yourself a grand and you’ll just have to deal with a hosed Reverb dropper, an eThirteen LG1r crank and an XTR groupset on your Megatower. Other than that, you get the same kit as the pricier model above, but could use that money saved to take you and your knew whip on a riding holiday. At £7,699.99, the CC XO1 Reserve is the cheapest of the top end carbon framed models sporting carbon wheels. A full £700 cheaper than the XTR model and £1700 cheaper than the XX1 AXS shod range-topper, it certainly is less eye-wateringly pricey. With less price, comes less acronyms. The cheapest of the CC framed Megatowers comes in at £6,599.99. Essentially it’s Reserve-shod pricier brethren with DT Swiss 350 hubs laced to RaceFace’s ARC Offset 30 rims and £1,100 cheaper for it. Will this be the bike that gets the most attention? Do you want your fancy carbon in the wheels and not the frame? Then the Megatower C S Reserve might be the bike for you. 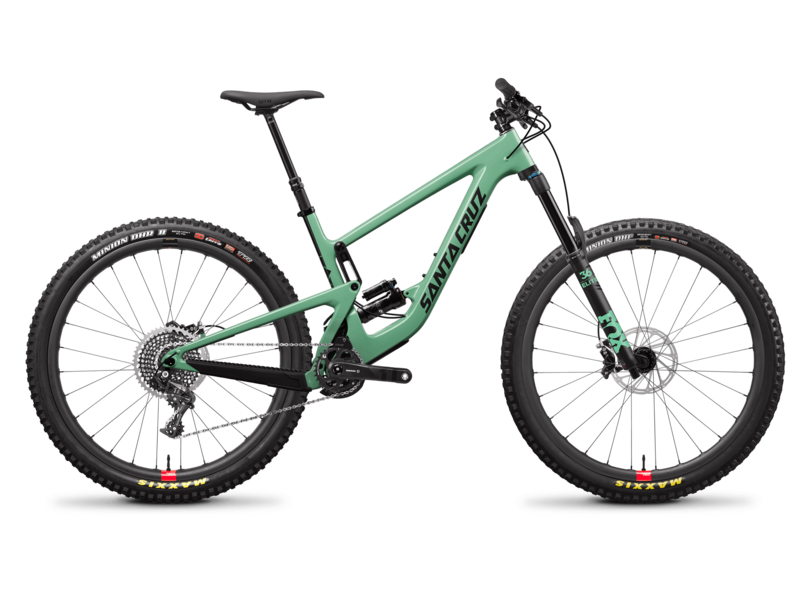 Coming it at the same price as the CC XO1 (£6,599.99) but sporting the Reserve wheels on DT Swiss 370 hubs, a SRAM GX Eagle 12 speed drive, a SRAM Style 7k crank and losing the Santa Cruz AM carbon bar to a RaceFace Aeffect offering. The C S model comes in at £5,399.99 mostly thanks to RaceFace’s AR Offset rims replacing the Reserve rims on its more expensive brother above. SRAM GX Eagle 12 speed drive, DT Swiss 370 hubs on the aforementioned rims, SRAM Code R brakes, a Stylo 7k crank and a hosed Reverb is pretty much the same as the Reserve model. Not exactly a budget option at the bottom end of the price list at £4,499.99 but it is the cheapest Megatower here and still quite some bike. This is the only build that doesn’t come with a choice of coil or air shock. 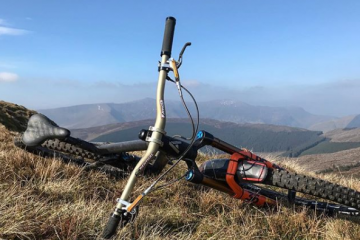 A Rockshox Super Deluxe Select isn’t the worst option in the World however. The base model Megatower sports a full SRAM NX Eagle 12 speed drive, SRAM MTH hubs on WTB i29 rims and Guide RE brakes. Finishing kit is very much the same as the other C models. 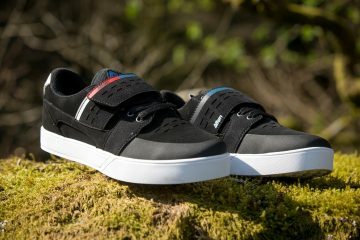 Full details on the Santa Cruz Megatower range can be found on Santa Cruz’s website here.